At the time we moved our family to Dublin, the depth of my Irish musical appreciation was laughable; it was limited to tipsy uncles singing “Danny Boy” at family parties, and annoying “dee-da-dee-da-dee” bouncy stuff that all sounded the same. Then I went to hear a concert by a young Irish band called Slide. What a whack on the side of the head! These young guys were playing contemporary and traditional Irish music like the Ramones did punk. During their fast numbers, they jumped with joy, they laughed and whooped and they probably would have smashed their instruments if they weren’t starving artists. You’d have to have been a stone not to “get” their music. And then Slide would slow down and sing an original ballad with transporting, magical, mesmerizing voices, and I’d be in love all over again. At the end of the concert, I walked up to the lead singer and said something inane like, “I’m going to make you famous in the US.” (Where did I come up with that?) Being on Grommet today is the first step. “Overneath” is Slide’s third CD, and it just might be their best. But, you can’t get it in the U.S. (yet). So this is a Grommet exclusive. It is a perfect, and totally-unique, gift for any Irish music fan, or for that Irish American uncle who needs a new repertoire. The only way you could get closer to Ireland is to go there. And you’d have to, if you wanted to get this gorgeous CD. 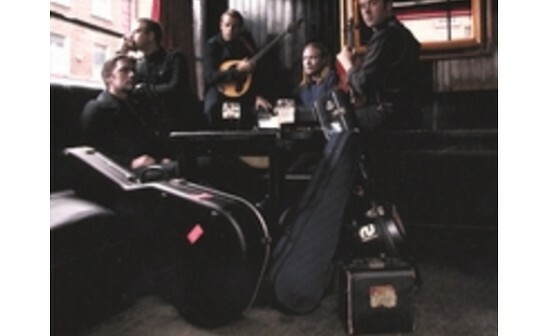 Are you a fan of Irish music … are you interested in hearing more? Buy it now on iTunes! Irish angst and longing and love....no one does it better. Do you have a favorite piece of Irish music? Does it inspire any memories? Oh, I love the music -- just watching the video and listening to it in the background was a pick me up. I love Irish music...especially the ballads. Just ordered the CD. Can't wait! I'm delighted that at last you guys will know that not all our music is of the diddly-iddly type! Enjoy! What a great grommet! I'm so excited about this!! I should mention that my husband imported a copy of this CD for me when it came out and it cost him almost $50 with the Euro exchange rate and shipping....so this is a great buy until Slide gets some US distribution. They are doing a US tour in the Spring, BTW. I love the ballad "Four Green Fields," even though it's a bit dated with its nationalistic bent. To me, it's a song of hope, rather than vengence. My husband is a real music enthusiast...and I (on the other hand) can barely remember the words to my favorite songs, much less name every member and birthday of the Ramones, the Pixies, Sonic Youth, etc. This is such a great Grommet -- I'm buying one as a gift for my so-much-hipper-than-me hubby to try to impress him for once on the music front (it is so cool that you cannot buy this anywhere else in the U.S.). Thanks, Jules, for bringing this one home from Ireland with you. I'm not going to ask which tipsy uncle you were referring to, but I remember those days fondly. I ordered one for my husband Kelly. He always has the latest CD's but I know he doesn't know about this one. It'll be a nice surprise. Hi Jules and everyone at Daily Grommet. Glad you featured our latest CD on the site - looking forward to getting back out Stateside in 2009. At the time we moved our family to Dublin, the depth of my Irish musical appreciation was laughable; it was limited to tipsy uncles singing “Danny Boy” at family parties, and annoying “dee-da-dee-da-dee” bouncy stuff that all sounded the same. Then I went to hear a concert by a young Irish band called Slide. What a whack on the side of the head! These young guys were playing contemporary and traditional Irish music like the Ramones did punk. During their fast numbers, they jumped with joy, they laughed and whooped and they probably would have smashed their instruments if they weren’t starving artists. You’d have to have been a stone not to “get” their music. And then Slide would slow down and sing an original ballad with transporting, magical, mesmerizing voices, and I’d be in love all over again. At the end of the concert, I walked up to the lead singer and said something inane like, “I’m going to make you famous in the US.” (Where did I come up with that?) Being on Grommet today is the first step. “Overneath” is Slide’s third CD, and it just might be their best. But, you can’t get it in the U.S. (yet). So this is a Grommet exclusive. It is a perfect, and totally-unique, gift for any Irish music fan, or for that Irish American uncle who needs a new repertoire. The only way you could get closer to Ireland is to go there. And you’d have to, if you wanted to get this gorgeous CD. 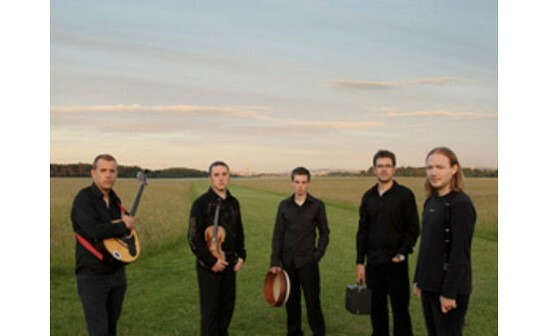 Are you a fan of Irish music … are you interested in hearing more?